Home → General → Which Resume Outline Should I choose for Jobs? Knowing how to prepare a powerful resume is as strategic as a game of chess. You are competing. You choose moves designed to win the game. The quality of each move determines whether you have a mediocre online resume example, or one that wins the attention of a prospective employer. How do you set up your “resume outline?” In other words, how do you structure your content? You may be surprised to learn, that resume structure plays a significant role, to catch the attention of hiring managers. Your first thought may be about credentials, experience, work history, or even your references. All of those details are important. What is even more important is that you communicate your accomplishments correctly, in the resume outline, which best suits your background. If you choose the wrong resume outline, your documents might end up at the bottom of the pile, overlooked and ignored. So how do you tackle the resume outline question? 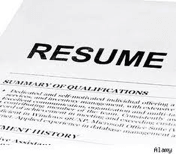 What types of resume formats are there? There are two common options…. How many jobs have I had since 2003? This question plays a crucial role in developing your outline and creating a winning resume. Multiple job changes may produce a red flag for hiring managers, because it appears you have been job-hopping. This indicates a problem employee. You can minimize that appearance with a functional resume. It’s about what you achieved for those employers. A functional resume is used to highlight your accomplishments, without drawing attention to where you worked and when. Typically, a functional resume focuses on professional experience and achievements from a variety of your past positions. You want the hiring manager to identify you as a valuable candidate, before penalizing you for job movement. You will always be more capable of selling yourself in person, so reduce the red flags, and focus on securing an interview. This is the standard resume outline – listing each employer specifically with dates, one by one, and outlining what you did for each employer. Fairly cut and dry. Choosing a chronological resume outline shows the prospective employer that you have something they desire: tremendous tenure. If you’ve been with a company for many years, you’re reliable, dependable, and loyal. Your experience has grown. It implies your past employers will have remarkable things to say about your abilities. Highlight your stable employment history with an accomplishment driven chronological resume. Hiring managers gravitate toward candidates with a history of producing quantifiable results, with the least amount of job changes. Not quite. Choosing a good resume outline is only one step in the employment process. Like I said, those are your initial moves. What seals the deal is the endgame. The interviews. But it’s definitely the right start! So before you begin sending out your employment documents, start off on the right foot; determine which professional resume template to choose and build your strategy. Rather than just assume you have a good resume, contact Vertical Media Solutions, for a free resume review. We are Michigan’s top-rated professional resume writing and interview preparation service, so call today: 616-631-4300 or 517-308-0800.